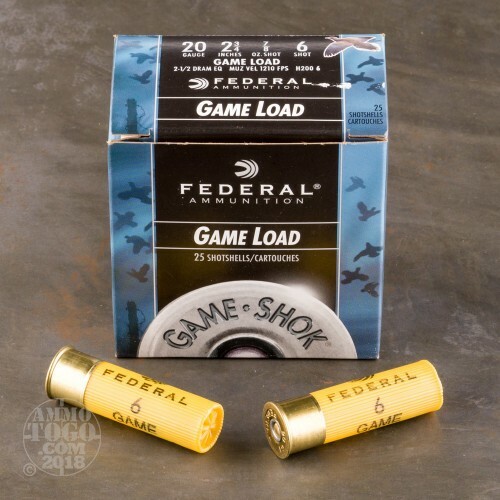 This is 20 Gauge Federal Game Shok 2 3/4" 7/8oz. #6 Shot Ammo. 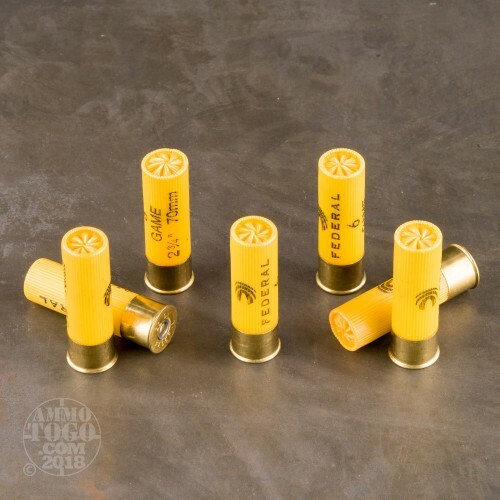 This ammo is for the avid rabbit, squirrel, or upland bird hunter. 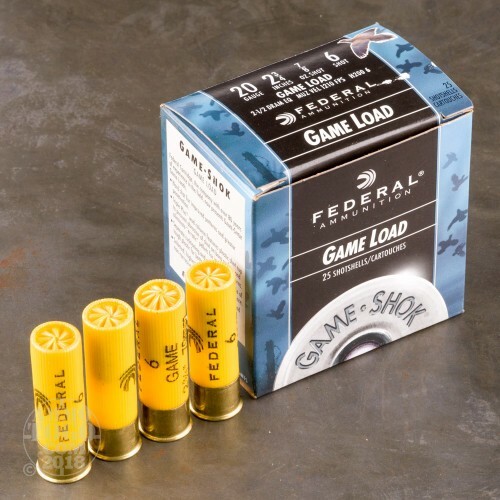 Choose Federal Game Shok to keep you effective in the field. Muzzle velocity 1210fps. 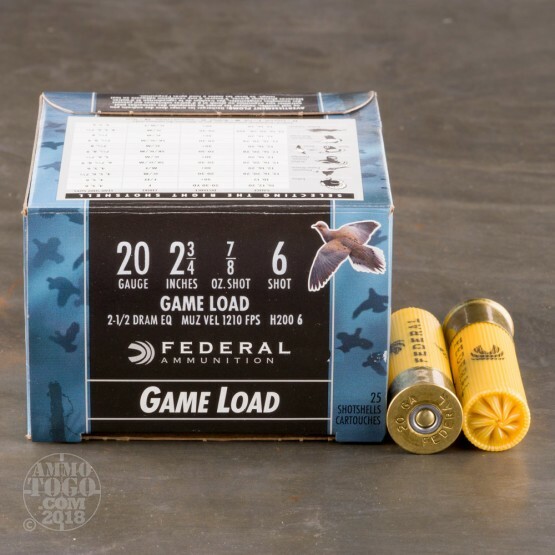 This game load ammo comes packed in 25rd. boxes.